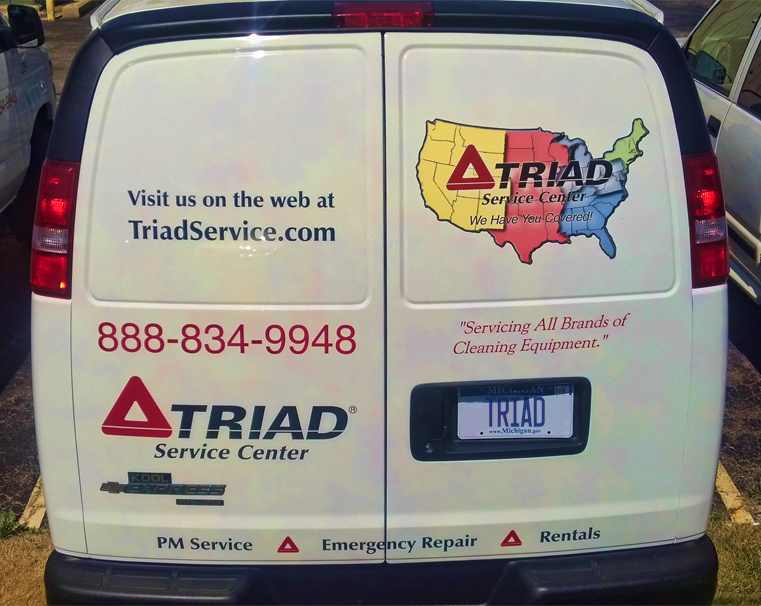 Triad has a wide rage of well maintained industrial and commercial cleaning equipment for rent to help you tackle every job. ◙ Inspected and serviced before and after each rental. ◙ Tested and operator instructed by a trained technician. ◙ Triad offers 3 day, weekly, monthly, as well as long-term rental options. ◙ Special Rates for long term rental. TRIAD is equipped to rent quality, safe, reliable floor care machines for your use at a three-day minimum. We know that an equipment service history is a very powerful tool when renting floor equipment. That is why we keep an extensive service history on every piece of equipment serviced. This allows our partners to find the right piece of equipment for their application. We feel that all our partners should be able to have the best piece of equipment for their application, and the best service on that piece of equipment. This enables our partners to make equipment changes without the fear of changing their entire service network. Therefore, by representing as many manufacturers as possible, our partners can have the best service and floor equipment for their application.